Categorized as: Africa, Education, Girls & women, Grantee, Job Creation, Leadership, Our Partners, Stories & Tagged as: Information technology, Online education, Scaling on March 26, 2017. 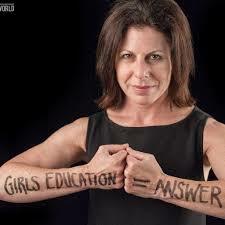 Related Grantees: Advancing Girls Education: AGE Africa, Asante Africa Foundation, The School Fund, Women LEAD. Our connection: Our family has been honored to support the Akilah Institute in Kigali, Rwanda, since 2012—first as friends, when I had the lucky chance to visit Akilah and meet cofounders Elizabeth Dearborn Hughes and Dave Hughes, together with their students and faculty; then as storytellers, featuring Akilah in stories such as a feature on alumna Nadine Niyitegeka on our book blog, Job Talk. We later elected Akilah as our “Catalyst” grant partner—with a $45,000 grant over three years—to support their growth as they expanded their curriculum and enrollment in Burundi and Rwanda. Along the way, we’ve also cheered for Akilah as our family members from Sarah Helly in upstate New York, to Suzanne Skees with Sisters Share Santa Cruz in northern California, added small grants to the Akilah cause. We’re super excited to learn of Akilah’s two latest projects—a new online/blended learning, skills-based curriculum that will amplify their reach, and a debt fund for social-mission investors that will multiply their scholarships. Read on for more information . . .
And, stay tuned for Part 2 on the Akilah Institute’s collaboration with our groundbreaking new SFF partner, African Entrepreneur Collective. 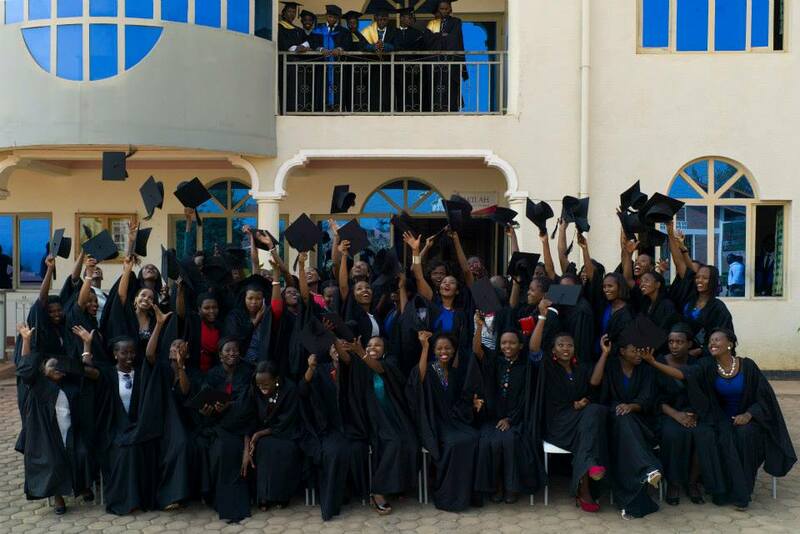 Congratulations to the Akilah Institute of Kigali, Rwanda, which just graduated their Class of 2016. That’s 82 more bright young women trained for leadership in entrepreneurship, hospitality, and information systems (IT). Since its founding in 2010, Akilah has graduated over 200 women leaders and will welcome 400 more in July. The Akilah Institute, the first women’s college in Rwanda—and founded just seven years ago—has made a measurable difference for the 227 women who have already graduated. Akilah’s two-year, accredited diploma program is tailored towards career-driven women, offering courses in Business Management & Entrepreneurship, Hospitality Management, and Information Systems. Since 2010, these programs have equipped hundreds of women with the academic, professional, and leadership skills necessary to launch and advance their careers with companies like Marriott International, Radisson Blu, Impact Hub, One Acre Fund, MTN, Inkomoko, and more. 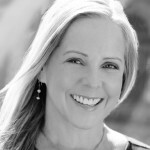 Karen believes that “in low- and middle-income countries, a traditional liberal arts education may in fact be a luxury — especially for women” tasked with supporting their families and bringing up the next generation. So, while their program remains academically rigorous, they have transitioned to the new national strategy in Rwanda—that of competency-based education. What this means is that students work at their own pace, demonstrating mastery of knowledge and skills, regardless of how long it takes, rather than coursework that is measured in time, like semesters. The focus is on the student’s pace rather than the professor’s. Students can move quickly or slowly, but they don’t advance until they have mastered a competency. The end product: a hybrid blend in-between vocational school and a traditional bachelor’s degree. Akilah graduates earn incomes that are, on average, 12x the national median income. Community service and leadership are core parts of the Akilah experience. All students are required to complete a Social Change Project, and many go well beyond that to mentor younger students or raise funds for those in need. See how Akilah’s market-based programs prepare young women from Burundi and Rwanda for job placement right after graduation. Akilah has an ambitious goal of enrolling 54,000 women across eight campuses in East Africa by 2031, while at the same time keeping tuition affordable and becoming financially self-sustaining. Their new online and executive education programs will enable them to reach a total of 1 MILLION students by 2031. Akilah’s new curriculum will include both online and offline formats. Soon, much of Akilah’s curriculum content will be available online so that students will have more flexibility. This July, Akilah will launch its Evening & Weekend Program for working professionals. Women in emerging economies will also have the option to enroll in Akilah’s continuing and executive education courses as well as online modules focused on specific skill sets. Akilah’s online courses will serve girls and women unable to attend a full-time academic program due to other professional commitments, their geographic location, or other barriers. In addition, local partner organizations will supplement their online curriculum with additional counseling, capacity building, or career partnerships. Currently in East Africa, only 8 percent of young women even graduate from high school. Akilah wants to change the opportunity landscape by getting more women into and through college. Their leadership spent part of 2016 working with pro-bono partners Ernst & Young to revamp their financial and business model to include diverse revenue streams — tuition, equity, earned income from paid short courses, and donations. They’re now launching a Series A investment round, seeking debt and equity investors interested in scaling up women’s education. The majority of Akilah students come from low- to middle-income families, and they rely on financial assistance from Akilah’s low-interest student-loan program. For more information on investment opportunities, contact Pam at The Akilah Institute. Take a quick visit to Rwanda to see Akilah’s main campus and hear cofounder Elizabeth Dearborn Hughes explain the unique role of this haven for women’s empowerment. Akilah will welcome its largest class ever, with 400 new students, this July. They have also laid the groundwork for a new campus in 2018 in Kenya and plan to establish a network of eight campuses throughout sub-Saharan Africa by 2031, allowing them to serve 54,000 women in the classroom and, with remote online learning distributed through partners across Africa, reaching a total of 1 million students. Photographs and videos courtesy of The Akilah Institute. DONATE directly to Akilah Institute here.